Freight Shipping is included in the price. We will call and arrange the shipment with you within 1 business day of your purchase. Actual turnaround time to delivery can range from 2-4 weeks depending on your location and availability for delivery. Quicker turnaround times can be arranged at an additional cost. Please Contact Us for more details. Cherry lumber is also known as Black Cherry & American Cherry. The color is light pinkish brown that will darken to a medium reddish brown with age and sunlight exposure. Cherry is known as being one of the best all-around woods for workability. It is stable, straight-grained, and machines well. The only difficulties typically arise if the wood is being stained, as it can sometimes give blotchy results—using a sanding sealer prior to staining, or using a gel-based stain is recommended. 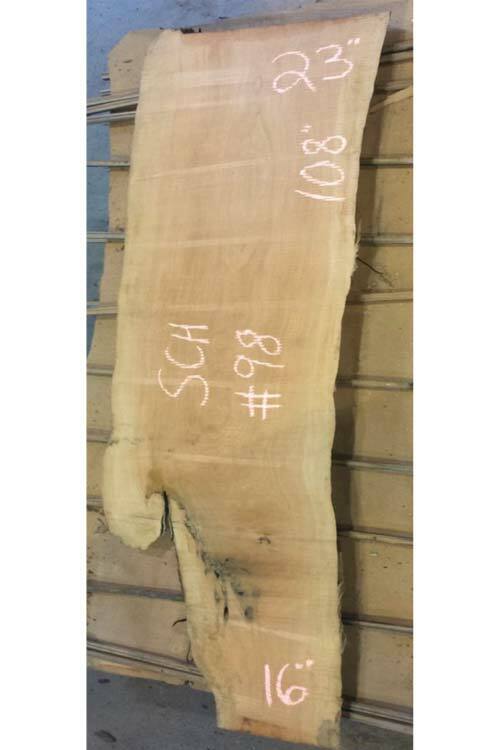 Sapwood is common, and may contribute to a high wastage factor. Heartwood is rated as being very durable and resistant to decay.